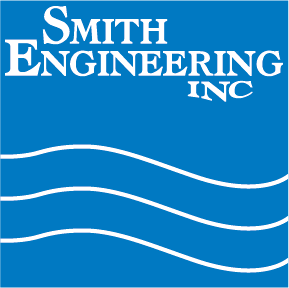 Smith Engineering would like to recognize Lowell Christiansen. Lowell has been a valuable employee at Smith Engineering since June 25, 1981. He has become a Smith legend. Lowell’s low-key approach and a wide range of knowledge on all facets of our business make him a walking encyclopedia. His depth of knowledge on specific customer’s equipment cannot be matched. Lowell grew up near the small town of Gary, South Dakota. He attended one of the last rural public one room school houses for two years before it closed. The most important innovation he has witnessed in his lifetime is the telephone. Lowell did not initially have a phone on the small farm where he grew up. The phone has evolved from rotary and party lines to cellular and video calls. Lowell moved to Belle Plaine, Minnesota in 1972 and graduated in 1974. He has been married for forty years and has two daughters and six grandchildren, the youngest age five and the oldest seventeen. Lowell’s philosophy is to treat people the way you would want to be treated. The loss of family members is the greatest challenge he has had to overcome both mentally and spiritually. He lost his father-in-law, brother-in-law and a first cousin from separate freak accidents. “It makes one sit back and think about the value of life and your own place in the grand scheme of things,” said Lowell. Over the years Lowell has had many interesting experiences at Smith. One such time was when he and Lenny Klosinski (another long time Smith employee) went to Mexico to install and start up a water purification system. The contractor was not ready when they arrived so he gave them free tickets and lodging to Puerto Vallarta for the weekend. They went fishing and to the flea market where Lenny bought a chess game that they played after hours in the hotel for the rest of their stay in Guadalajara. When asked what the weirdest job he ever had was, Lowell said he sorted rotten pickles from a conveyor belt at the Gedney pickle plant, a landmark in Smith’s hometown, Chaska, Minnesota. When asked what he would be doing (for a career) if he wasn’t working at Smith he said his first choice would be in law enforcement and his second choice would be a commercial pilot. Lowell has his own plane and has been flying since 2004. One thing he couldn’t live without? Pepsi! Lowell defines success as making a difference (or a mark) in life that people may remember you by. Be it family or career.